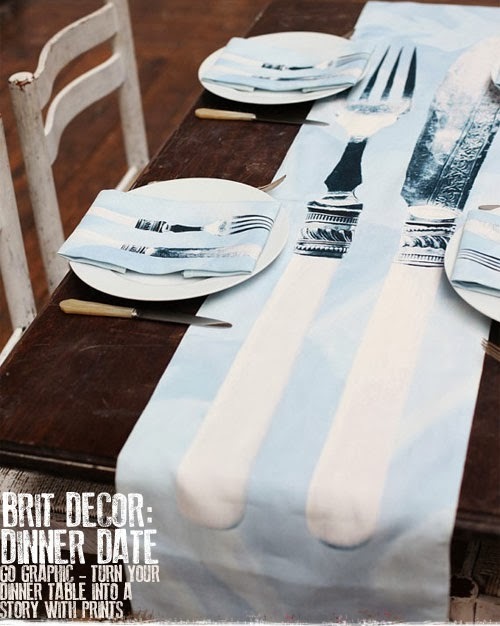 The bold graphic prints which are currently featuring heavily in cushion textile ranges have been translated into table linen with the first image (above). If you opt for bold 'statement' table linen, try to incorporate crisp white dinner plates and let your colourful linens do all of the talking. 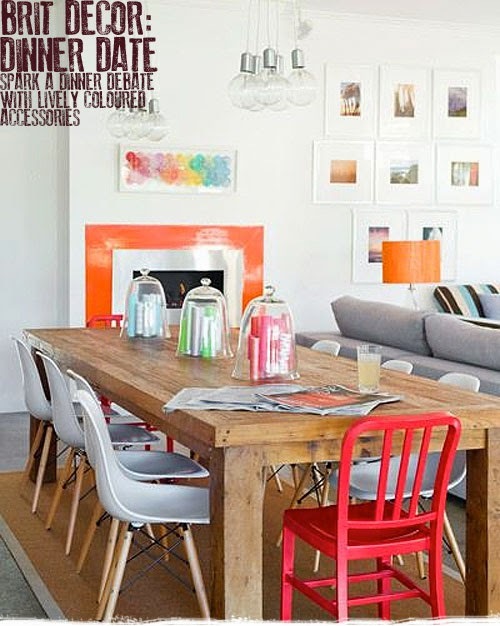 I am so into the look of the classic white Eames dining chairs set against a modern rustic table in the second image and such a great idea placing brightly coloured candles underneath a cloche for decoration! 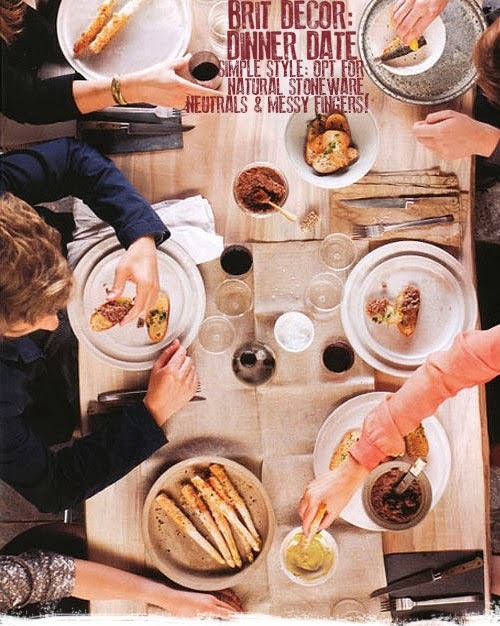 Talking of rustic (one of my favourite dining styles), look at the amazing Autumnal setting in the third image down photographed by Karen Mordechai for the amazing Brooklyn based Sunday Suppers - a communal cooking centre which celebrates the traditions of food and community #SimpleThings. 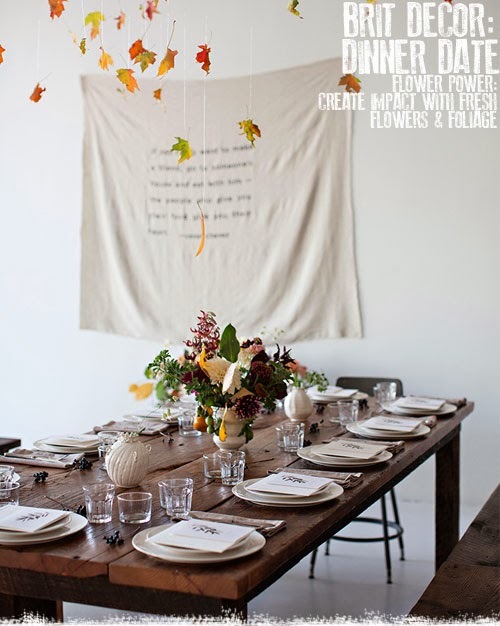 I really love the concept of suspending Autumn leaves above the table and the notion that you are dressing a theatre set - clearly the dinner table can be a stage too. 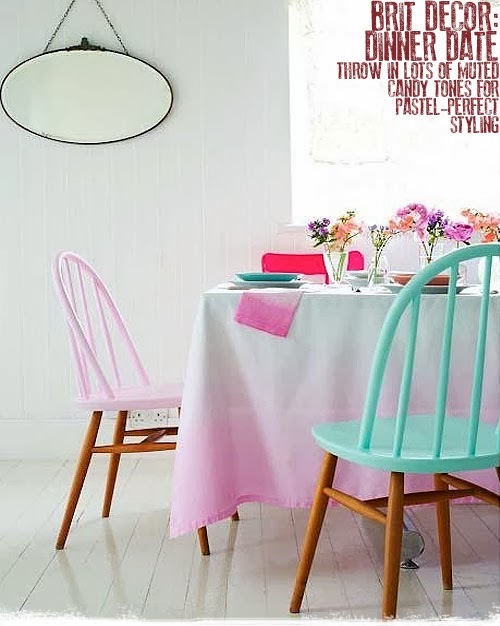 Equally dazzling but for completely different reasons is the uplifting colour-burst setting (fourth image down) which showcases the huge trend for dip-dye colouring with the deliciously pink tablecloth. The painted vintage chairs are also a feast for the eyes and I love the contrast between their painted tops and the natural wooden legs. Finally, the simplistic 'free-style' look in the final image is great for those casual gatherings where the table becomes a boiling pot of animated conversations amongst friends. Earthenware and natural materials work best here but keep it 'no-fuss' with plenty of dipping bowls and a help yourself format. Wherever you are eating this weekend, I hope it's in style!